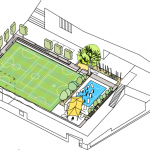 Howard Miller Design has developed a landscape strategy for Edith Neville primary school in Camden, London. A number of tensions were apparent, not least the potential conflict between active play (ball games, skipping and playing ‘it’), and quieter activities (imaginative play, talking and exploring). 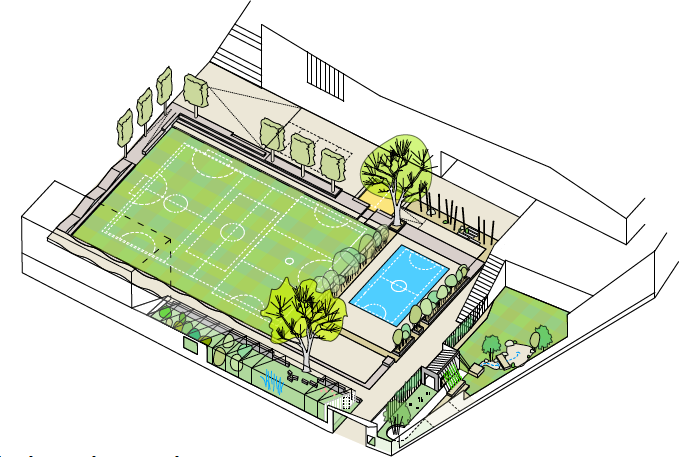 In traditional school playgrounds games pitches can dominate, leaving spaces for quieter interactions on the periphery. 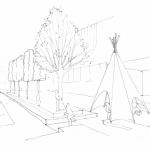 Using closely planted trees to provide a protective edge, acting as filter rather than a barrier. 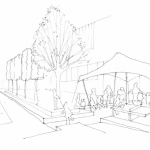 Making more of edge spaces by expanding them, introducing raised planting beds for growing, wilder nature areas for exploring, and movable canopies to support different sorts of school activity. 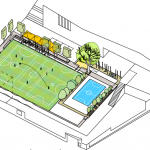 The design also introduces two areas that are separate from the main playground area. 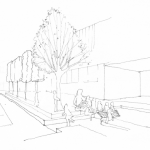 The first is a walled garden at the school entrance, linking outside public realm with inside landscapes, and giving visitors glimpses of the playscapes that lie within. 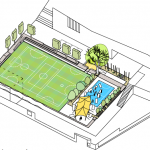 The second is a playground for younger children directly accessible from the reception classrooms, and providing special areas for messy and water-play. 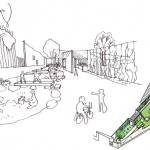 The playground is part of the wider redesign of Edith Neville primary by architect Hayhurst and co.